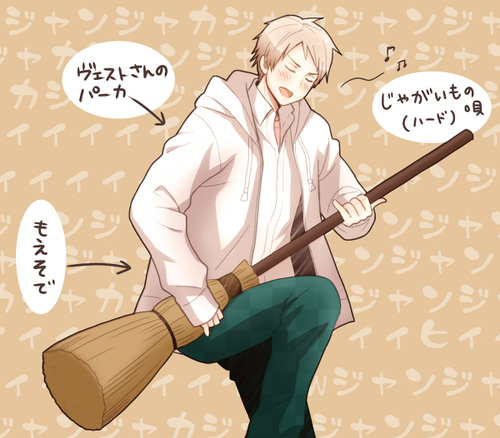 Prussia jamming on his penyapu. This scene is going to be hilarious. XDD. Wallpaper and background images in the Hetalia club tagged: hetalia aph prussia.